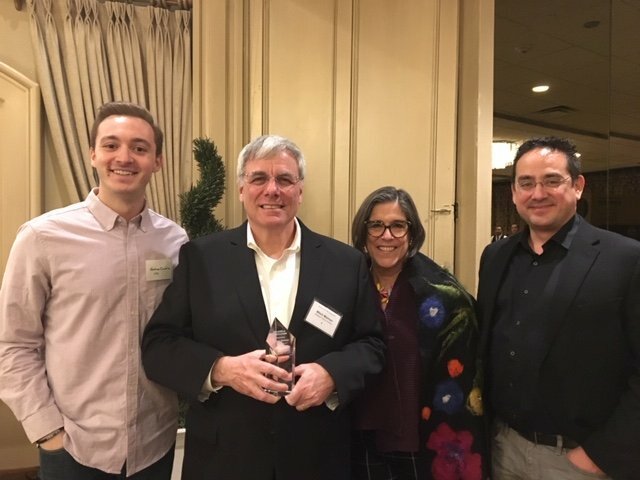 On March 26 at the Crest Hollow Country Club in Woodbury, NY, Mitch Maiman, President and Co-founder of IPS, was recognized at the fourth annual Innovator of the Year Awards ceremony. The Innovator of the Year Awards recognizes the best and brightest ideas from Long Island. Nobody understands innovation like Mitch Maiman, a 40-year veteran engineer wrapped in a savvy businessmen who’s led his 2008 startup to global standing. Four decades later, the maker can’t stop making. Creativity that started in the late 1970s, when he designed digital watch cases for a Queens-based watchmaker, continues unabated today. It’s in Mitch Maiman’s bones, it seems, in his blood. Decades past his Master of Science degree from Columbia University and his MBA from Farleigh Dickinson University, years removed from his run as Symbol Technologies’ vice president of engineering, Maiman’s deep product design knowledge and mind over matter philosophy still serve him well. There’s plenty of that going around at Maiman’s Hauppauge-based company, which designs and develops machines, software applications, user-experience/ user-interface processes and all manners of electrical engineering products, with special attention paid to wearables, medical devices and the burgeoning Internet of Things (which extends internet connectivity to traditionally “dumb” devices, such as coffee cups and doorbells). Maiman’s maker mothership – staffed with 100-plus next-gen designers and engineers, plus a complement of seasoned administrative staffers – doesn’t stop there. New vending devices, updated security protocols, ever-smarter touchscreens and a growing range of energy-storage technologies are also in play, a consumer and industrial mix that proved very attractive to Forward Industries, which acquired IPS at the end of 2017. The company’s extensive client base includes a fairly incredible list of names-you-know – Google, Pepsico, Motorola, Honeywell, Zebra, Hamilton Beach, and many others, all of whom turned to IPS at some point for design assistance. “Innovation comes in lots of different forms. But in the end, innovation is really about coming up with novel solutions to problems. About solving puzzles. And I love puzzles,” – noted, Mitch.